With this project, we reflect on the tools to protect Black Genius in the past and in present day. When we examine these Black American Artifacts and excavate their complicated histories, it is clear that we have always taken what was available and used it to move us forward toward liberation. At times we survived with these tools and at other times we thrived. We know for sure that in order to protect Black Genius we absolutely have to investigate our past. High Quality Gallery Prints of these images are available for purchase in our shop. The photographs in this series were taken by Derrick Beasley. 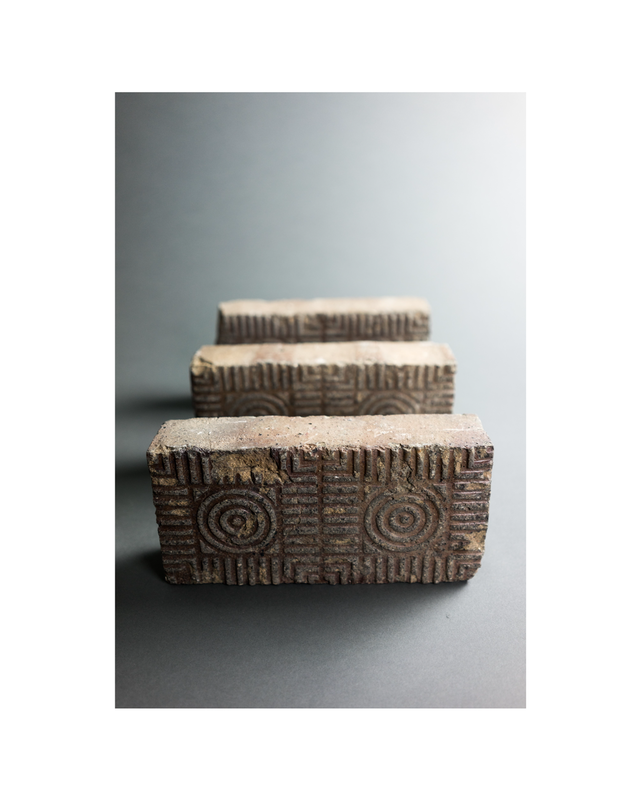 Cotton was the most widely produced and traded raw material in pre-colonial West Africa; it was even used as a form of currency. American commodification of the indigenous species shifted power from the North to the South. Post slavery, African American families picked cotton together, and passed down the skills needed to make the most of this durable and versatile natural fiber. The Black Genius T-shirt is an unapologetic affirmation of the talent, intellect, and creativity that fosters racial pride. The bold brand functions like a 21st century warrior’s shield protecting the Black genius inside. Wearing Black Genius apparel is walking with 100% cotton confidence in solidarity with a global village. African American entrepreneur Richard Burton Fitzgerald struck brick when he opened up for business in 1880. From the construction of textile factories to real estate development in the all Black West End neighborhood; Fitzgerald’s bricks built Durham. There’s more to the city’s red clay than just iron. The sweat, bones, and blood of Black and Indigenous forced laborers are in these bricks. In 1839 Stephen, an African American forced laborer, woke to a dying fire needed for tobacco curing. Fearing what a spoiled crop might mean for his own safety, Stephen added coals stoking the fire too quickly formulating a brighter sweeter tasting leaf. This accidental innovation put Durham on the map. Tobacco, named Yihnu by the Occaneechi is one of four sacred plants. It is presented to elders upon visitation, used as a healing medicine, and sprinkled upon the earth as an offering. Yihnu is smoked in ceremony, one of many sacrifices that continues throughout the life cycle of the plant, beginning before the seeds are planted and after the leaves have been hung, folded, and/or twisted to dry. St. Joseph’s Historic Foundation Inc. Hayti Heritage Center remains standing against the backdrop of Urban Renewal and present-day gentrification as a living monument to the African American Hayti neighborhood it resides in. 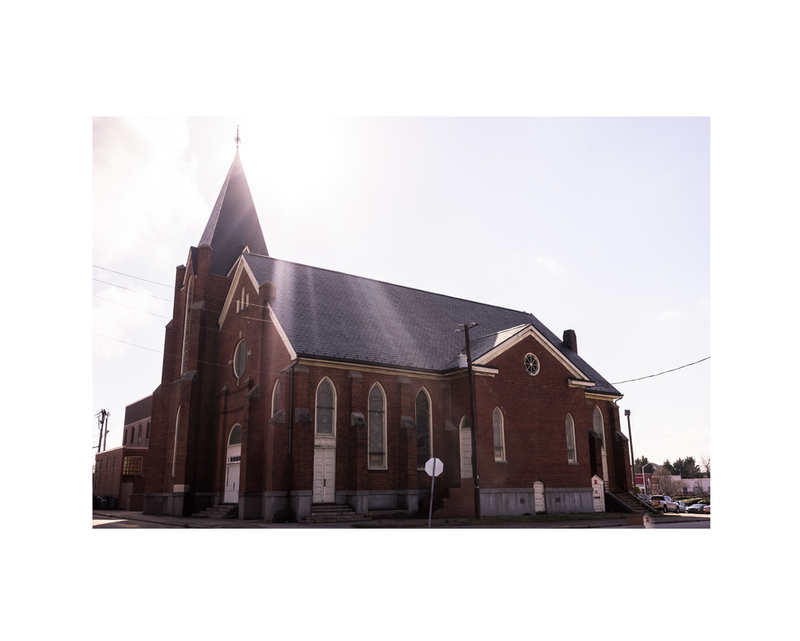 This former church built with Fitzgerald’s bricks and generous donations from the black and white communities continues to serve as Black fugitive space for education, civil rights organizing, and artistic expression. Approaching the years of the Civil War and in response to Northern abolitionism, Southern racist propaganda created the Mammy stereotype as a pro-slavery archetype to display Black women as happy and complacent in their condition as chattel slaves. The red handkerchief on her head was her signature. Current day head wraps can be read as resistance to White beauty standards. They are popular in fashion and protective styling, also a sign of modesty, royalty, and pride in African heritage. The Black Genius tool turns “the Talk” on its head. Instead of diluting the child to the affirm the Oppressor, the Black Genius Profile instead affirms the child and orients the potential oppressor to the child’s #BlackGenius. By capturing the child’s interests and talents, resiliency, racial identity, selective trust patterns, and ways of navigating other cultures the Black Genius Profile identifies all of the ways their child’s #BlackGenius might otherwise be overlooked.